Bring to a boil, simmer about 20 min. 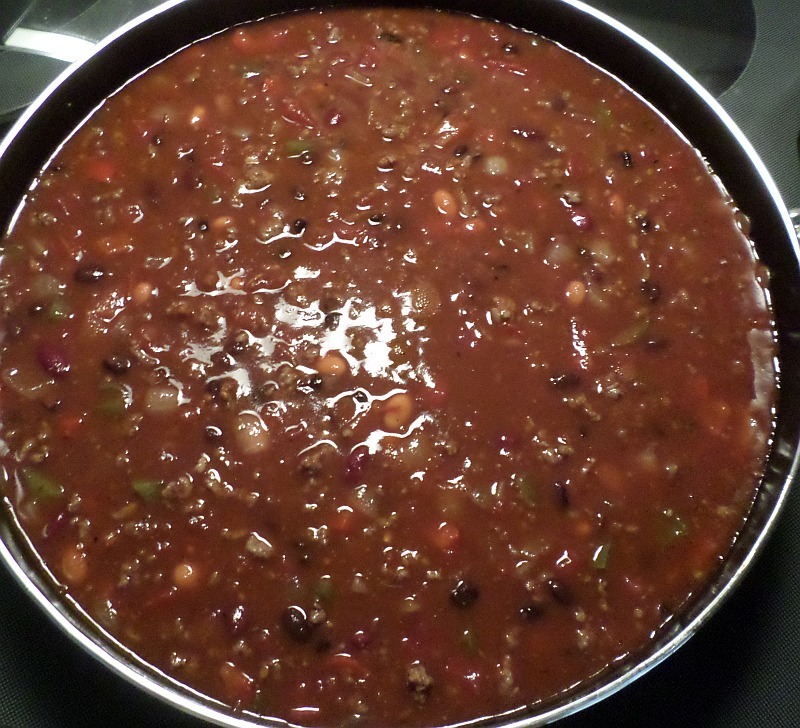 This makes a large amount of chili, so you won’t have to cook again for several days … couple of weeks? You’re very welcome. It makes LOTS. My husband and I each had some. Then I divided the leftovers into 14 one-cup servings—most of which are in the freezer.